Swagbucks has a Swag Code Extravaganza today! There will be 30SB worth of codes throughout the day! The celebration start on Wednesday, October 26th from 7am PDT/10am EDT to 6pm PDT/9pm EDT. 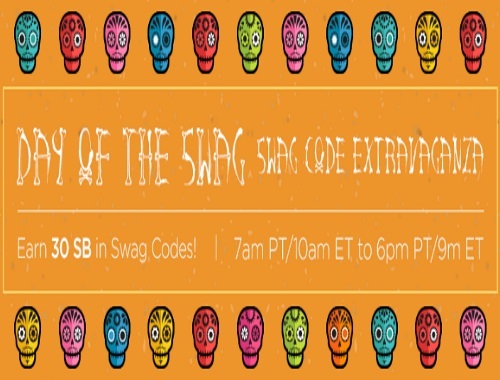 6 Swag Codes throughout the day worth a total of 30 SB. Look for Swag Codes in the following places:Facebook, Instagram, Halloween Sale, The Popcorn Factory Halloween Challenge, Refer & Earn, Search. I will be posting codes throughout the day here as I find them!